Recently, we have received quite a lot of customer’s requests involving to add more content types on CMS page. 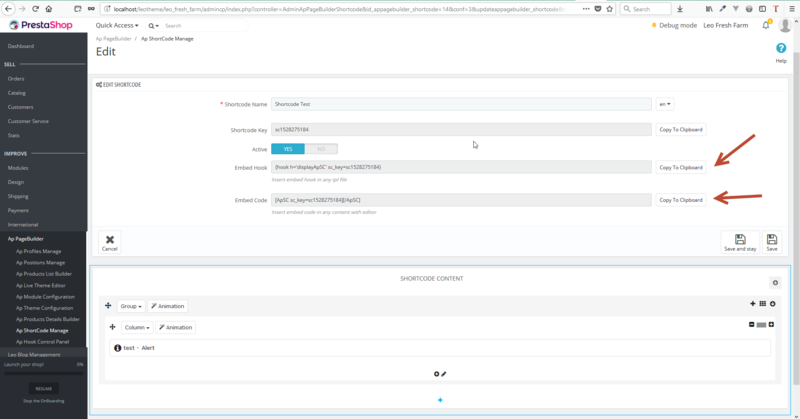 For this reason, our team of developers have released a new feature for Ap Page builder module to add ShortCodes , which helps user customize their site much easier and quicker. A really big advantage of this feature is that you can add any short code to any positions on each different pages on their website. 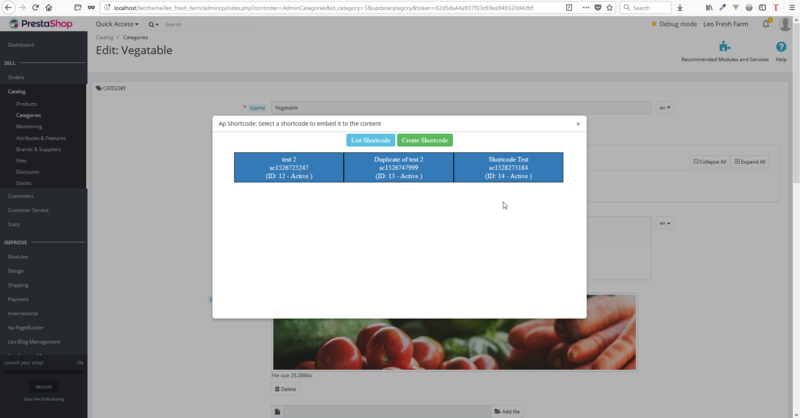 With shortcodes feature, you can automatically generate some sets of products, pictures in various positions on your theme with possibility to use shortcodes inside contents defined in back office (like descriptions, contents on cms pages, category pages, product pages). 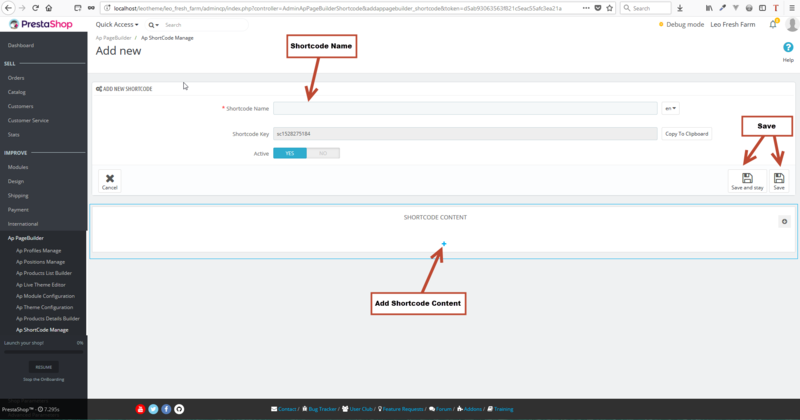 This blog will introduce you the Add ShortCodes feature and guide you how to use it in the back-end of your website. 2. 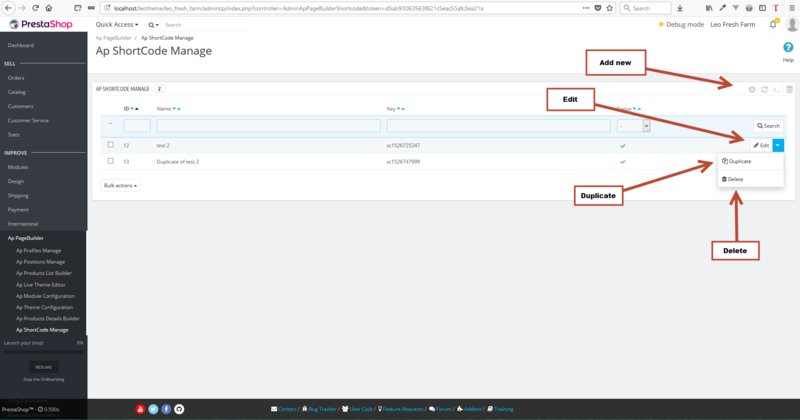 In Shortcode manage, user can add new, edit, duplicate, or delete a short code. 3. Add new short code: to add new short code, you enter short code name, add content for short code (this is the same as to add content for profile). Then you click Save or Save and Stay. - The first way is to use via hook. 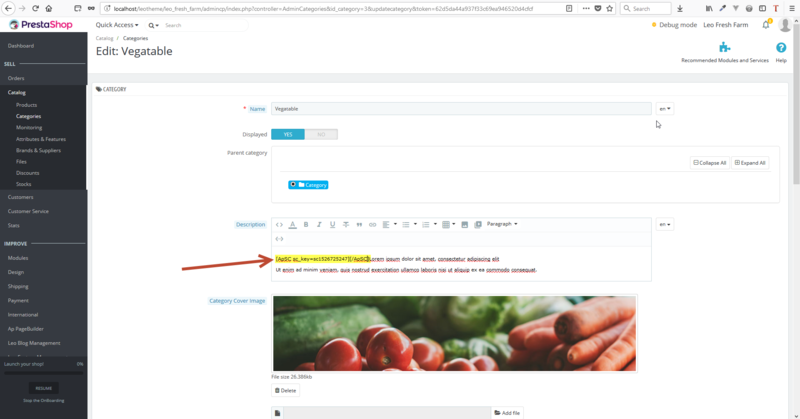 You click Copy to Clipbroad in Embed Hook field. 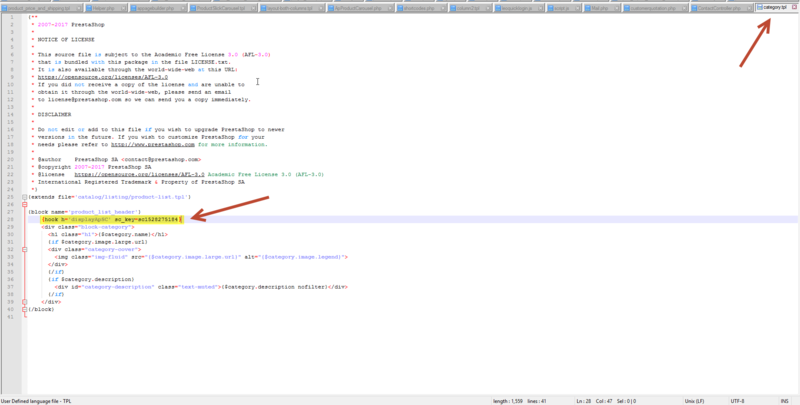 Then access any tpl file that you want to add short code and paste the short code there. For example: you want to add short code to the upper content part of Category page, you open file [project_name]\themes\[theme_name]\templates\catalog\listing\category.tpl then paste short code to the position that you want to show in file. - The second way is to use via content of a field. You click Copy to Clipbroad with Embed Code field. 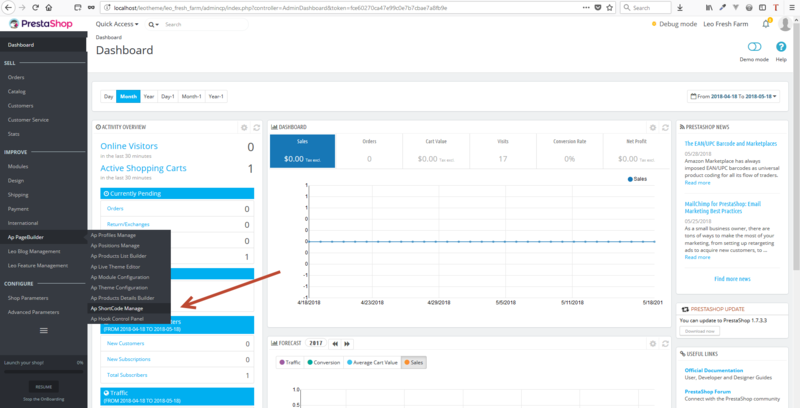 Then access Admin Panel of the field that you want to insert short code and paste the short code there. For example: Insert short code to Category description field. Besides, with fields that use Editor tinymce, you can add short code via Icon plugin on Editor. After that, you click on Icon Ap Shotcode, list short code popup will appear, you just need click on one short code to add the short code in the content.